There are times in our life when the perfect picture is taken because it is taken at just the right moment. These pictures are taken at just the right time and just the right angle that they tend to look as crazy as one could ever hope. The pictures sometimes look like there is some sort of mutant creature in them. 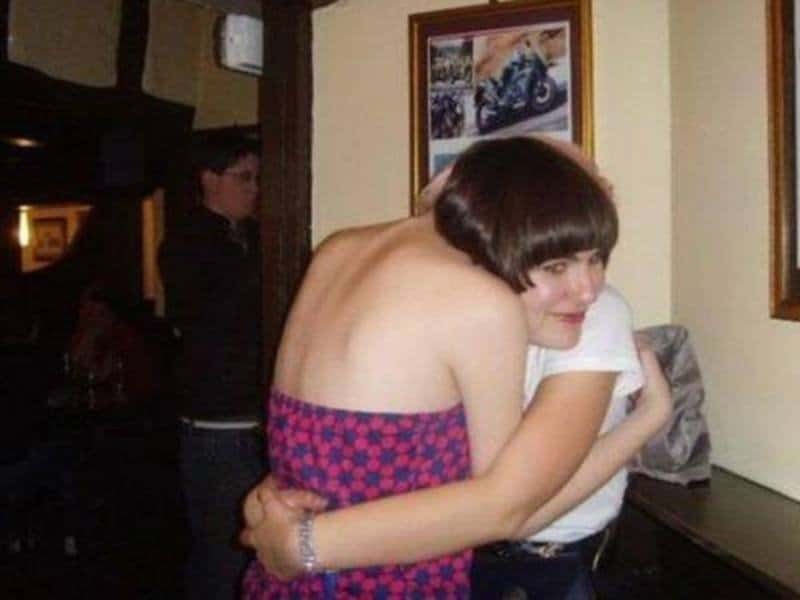 Other times, it looks as the though a person has three legs or three arms. No matter what the picture ends up being, it’s always hilarious. 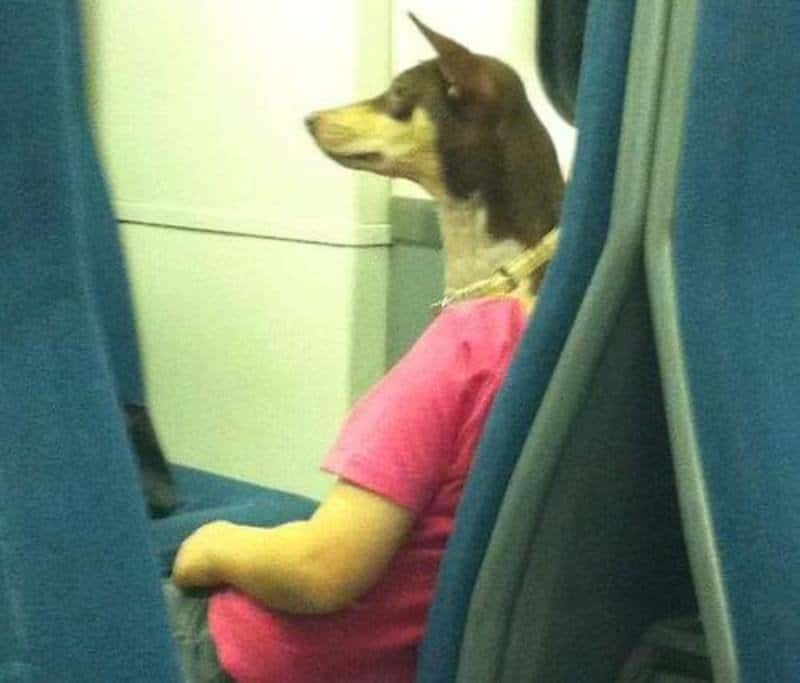 Check out our list of 10 of the most hilarious photos taken at just the right time and just the right angle and let us know what you think. No the blonde on the left is not being unladylike. Look closer and you can see the trick that’s involved in this photo. 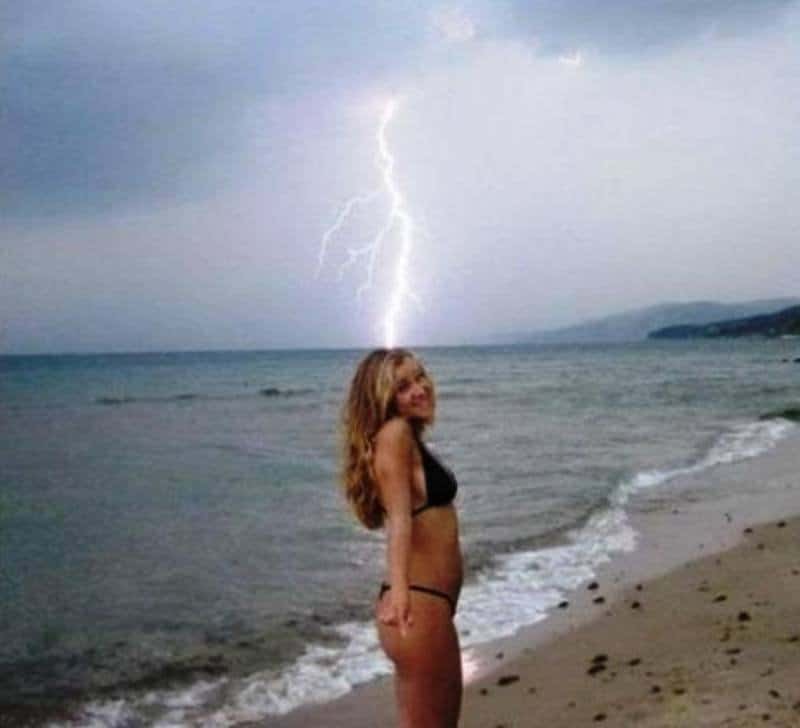 If this girl was actually being struck by that bolt of lightning, this wouldn’t be nearly as funny a picture. Because it’s just the right angle and right time, it’s actually quite awesome. We have a feeling that the refs didn’t even flag the player for this touchdown dance. They were likely too impressed to penalize him. These mannequins apparently have a rather large problem with their job. They don’t seem to care who they take it out on either. 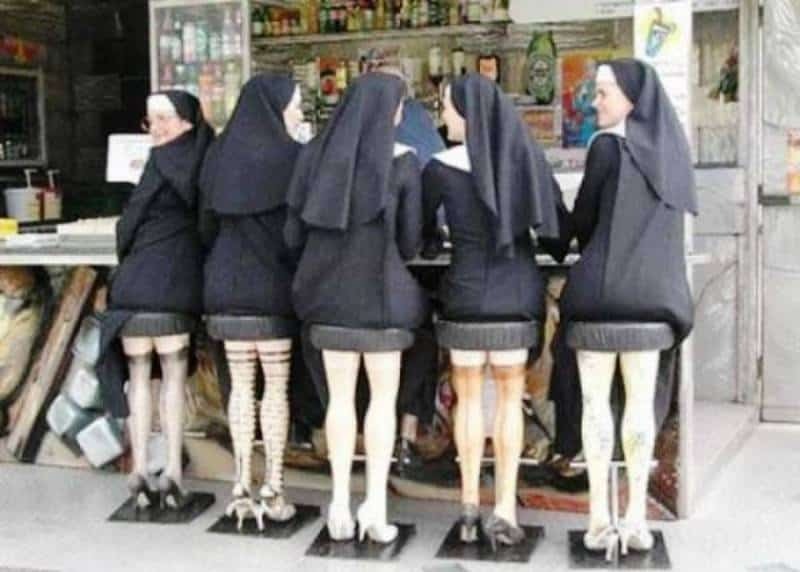 This picture is awesome not just because of what it looks like the nuns are sporting, but also because the nuns were all very willing and happy to sit on those stools. We imagine he’s giving the girl the look he is, because they’re both wearing the same pair of shoes. This is another one of those photos where we know exactly what’s going on, but we still can’t see exactly how in the world this angle happened. Sometimes you just can’t hold it anymore. And some times, you might need to see a doctor. 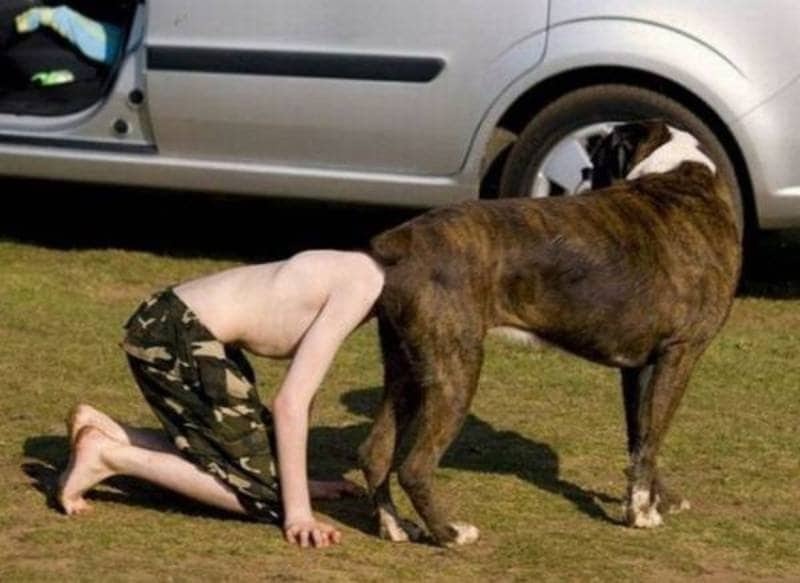 The best part of this picture is the dog is turning around as if the kid really did jam his entire head into the pooch’s rear end. We know this picture was taken at just the right time and just the right angle, but we still can’t for the life of us figure out how the brunette got her head to be at that angle.